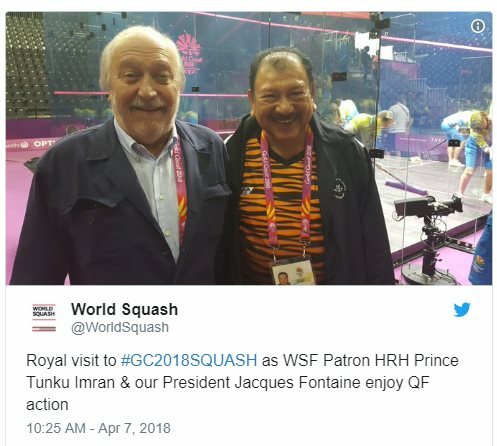 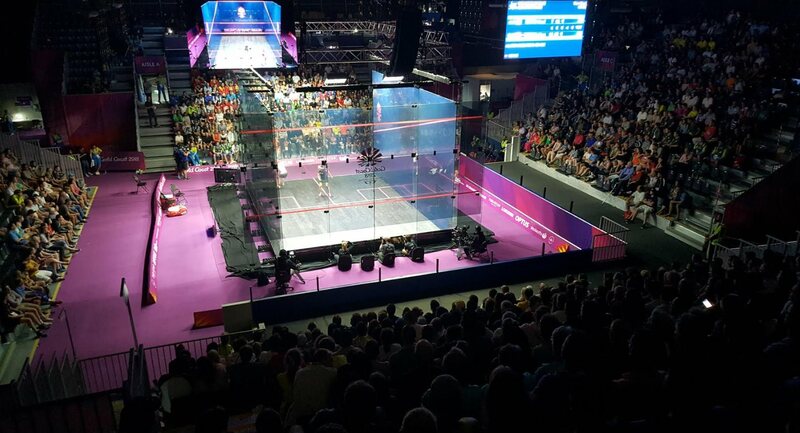 A long and dramatic quarter-finals day saw both top seeds and one – almost both – defending champions beaten as four countries provided the semi-finalists – one man and one woman each! 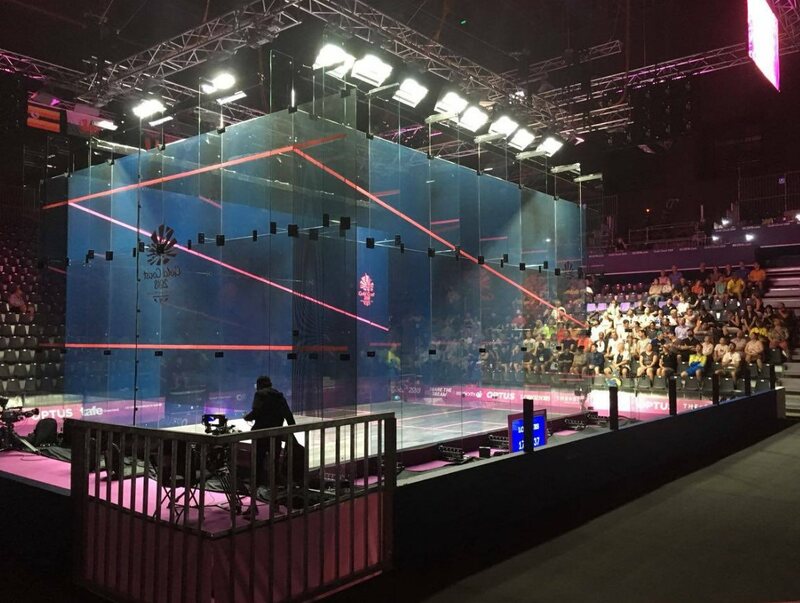 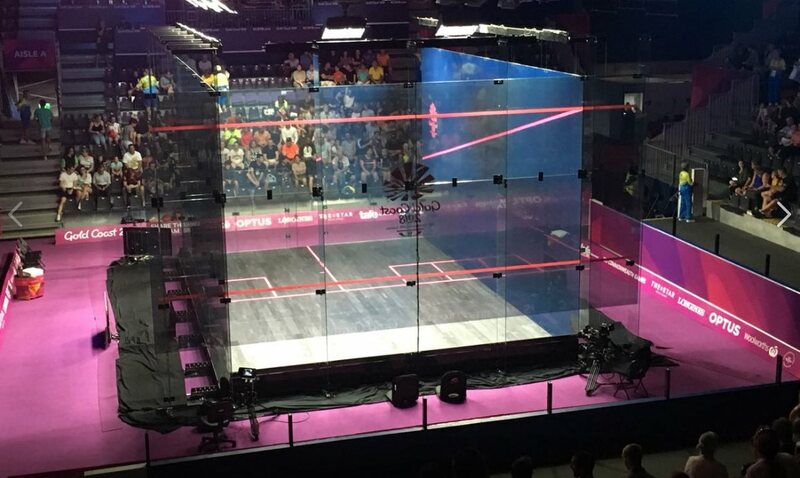 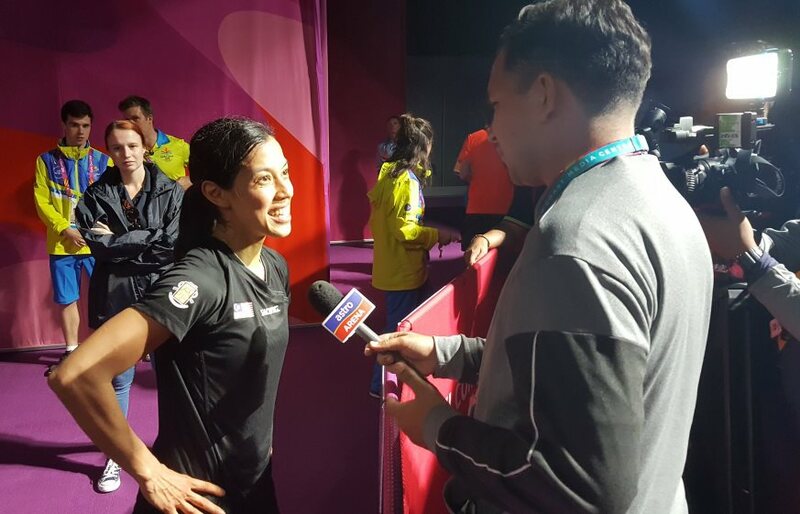 The second quarter-final session started with an absolute thriller as two-time defending champion Nicol David produced a spectacular escape to deny Alison Waters. 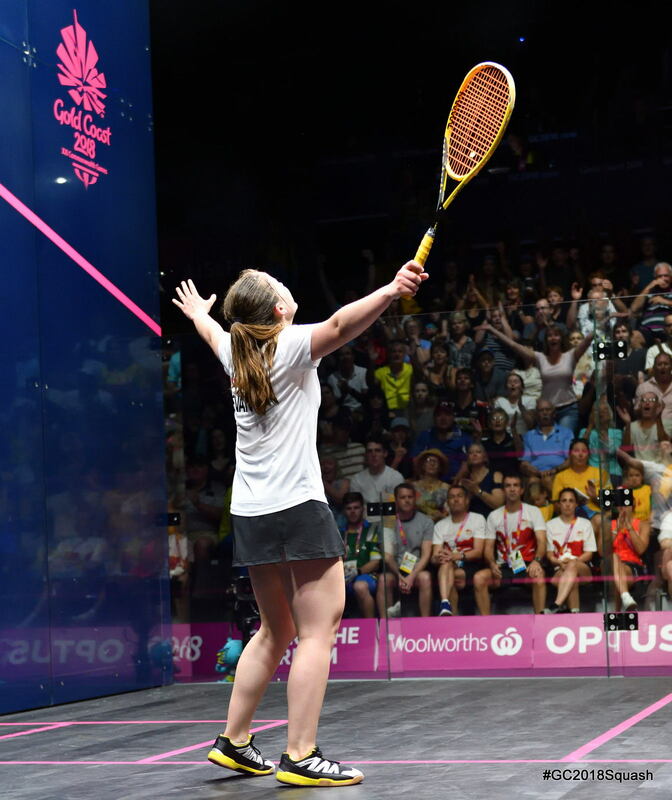 The fifth-seeded Englishwoman took a two game lead but the Malaysian icon fought back to set up a decider. 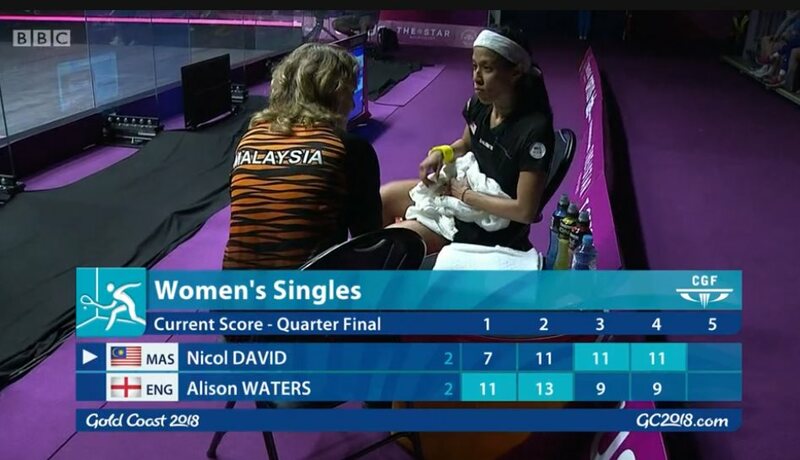 Waters led 10-8, but David took the next four points to keep her hopes of a third Gold in a row alive. 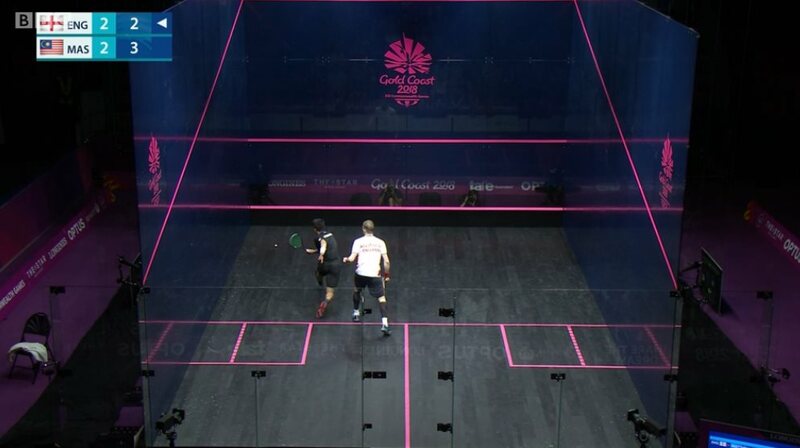 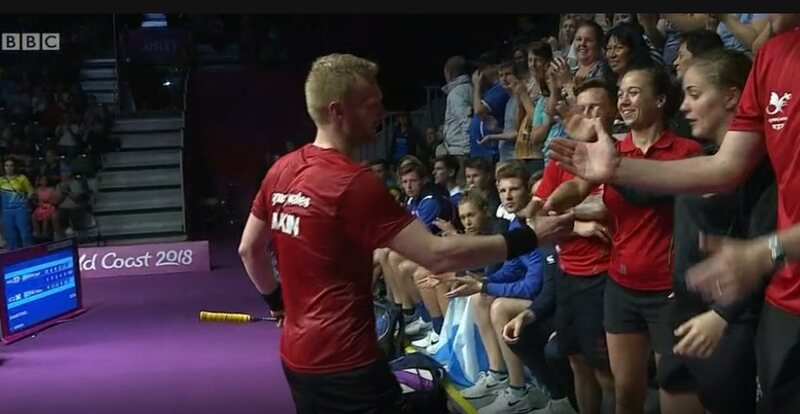 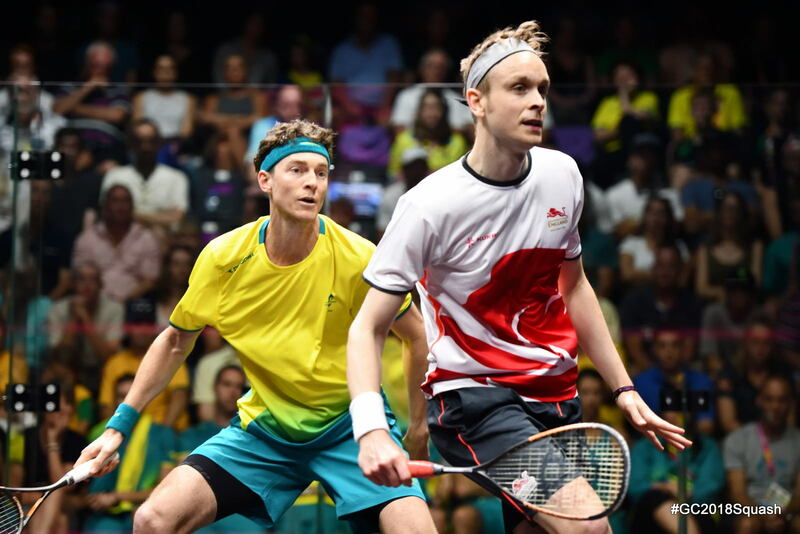 The third men’s match was another marathon five-setter as Wales’ Joel Makin came from one-two down to beat Scotland’s Alan Clyne in a hour and a half of determined squash, to join Tesni Evans in the semis. 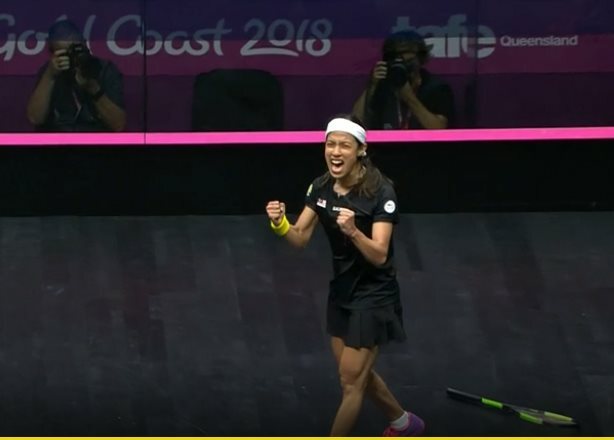 The final matches of the day saw New Zealand second seeds Joelle King and Paul Coll – the reigning World Mixed Doubles champions – make their bids for singles glory. 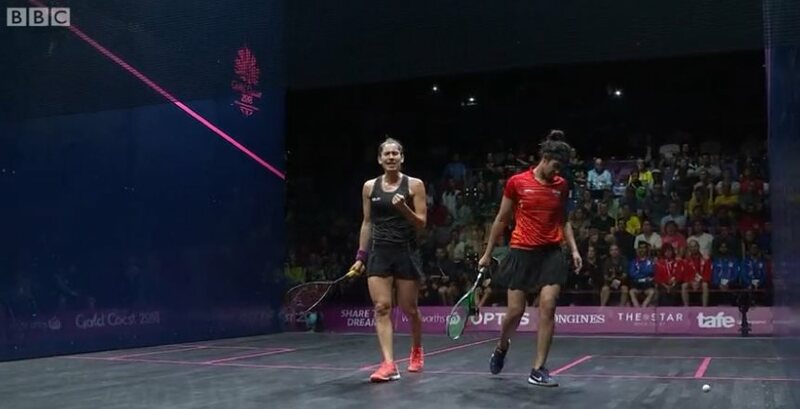 King lived up to her billing as the highest ranked player in the draw as she beat Joshna Chinappa in straight games, and Coll came through a tough four game encounter to beat Daryl Selby, finishing after midnight on a conduct stroke against Selby for dissent. 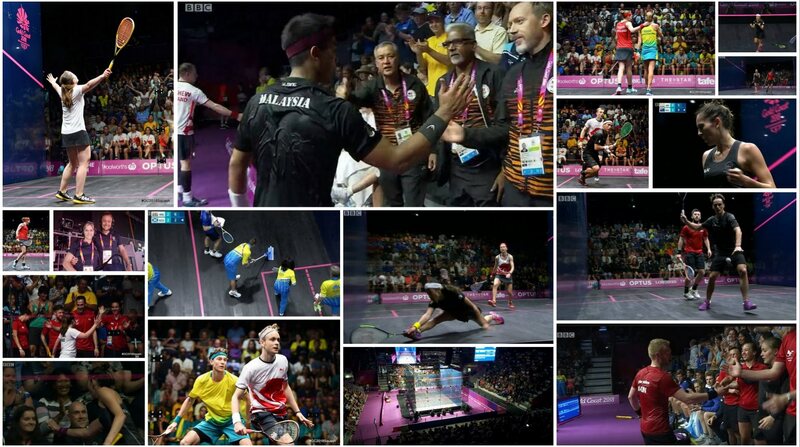 The first session of quarter-final play saw both top seeds beaten on a dramatic start to Day Three. 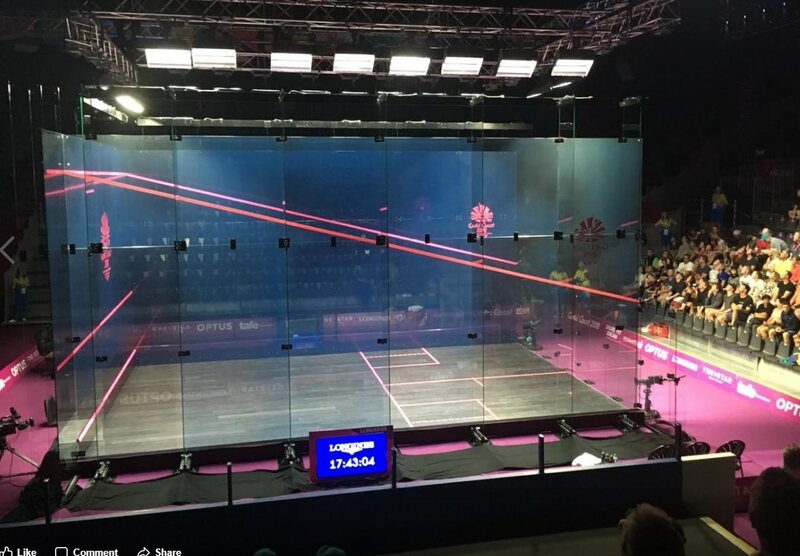 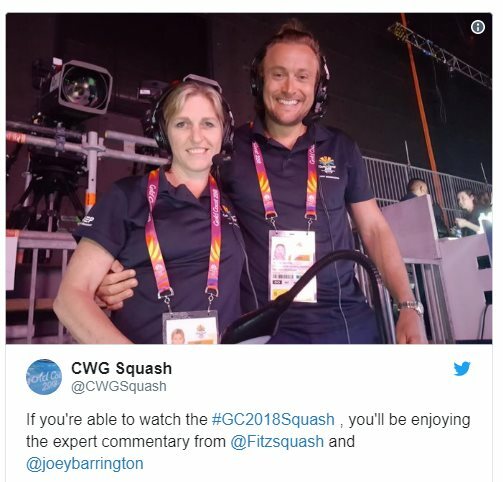 The first player through to the semi-finals was England’s Sarah-Jane Perry, who disappointed he home crowd as she beat Australia’s Donna Urquhart in four games. 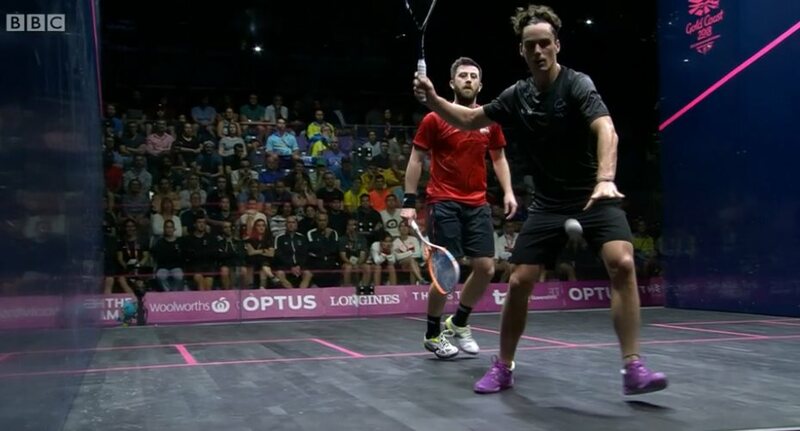 Perry dominated the first game, and although Urquhart levelled the fourth seed was in charge for the next two games. 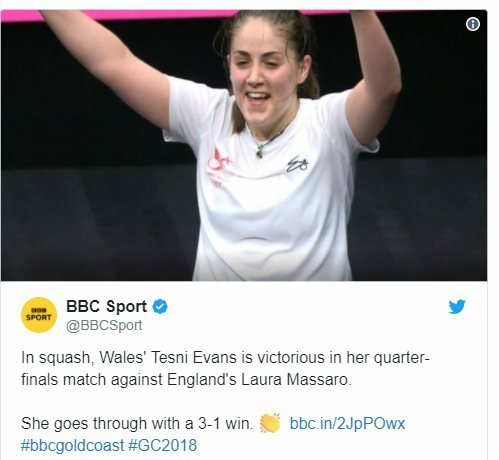 Wales’ Tesni Evans had beaten Laura Massaro in their last two meetings, at the World Champs and British Nationals in Manchester, and she made it a hat-trick as she downed the top seed in a tense four games. 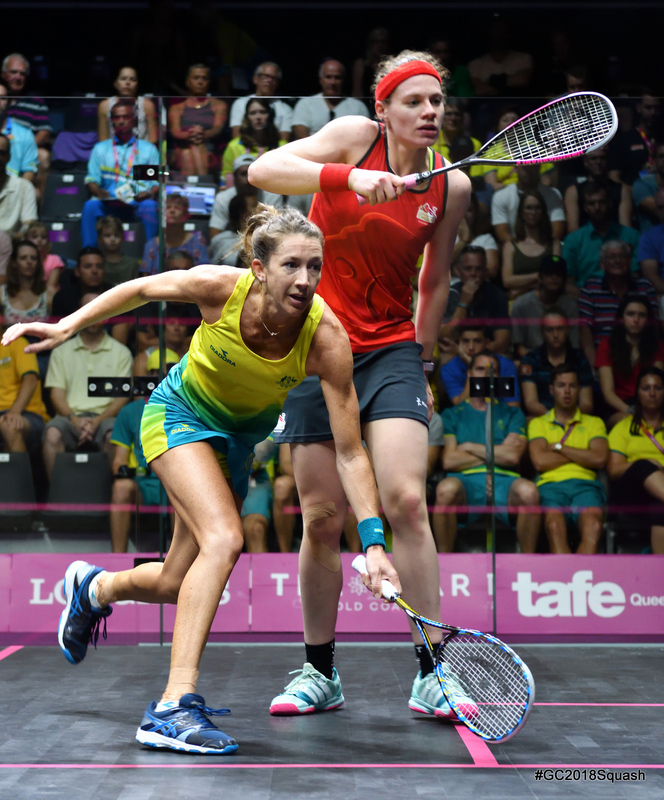 Evans took the first two, both 11-8, but Massaro reduced the deficit and had game ball to take it into a fifth. 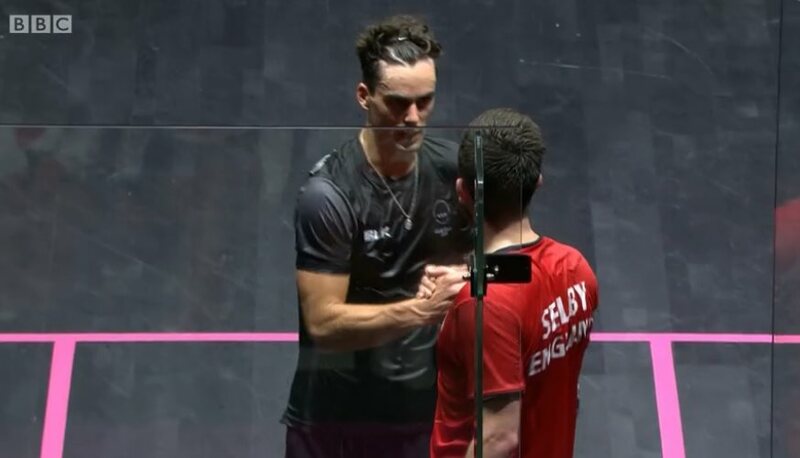 Evans fought back though, had match balls throughout extra points, finally clinching the upset 15-13 in just over the hour. 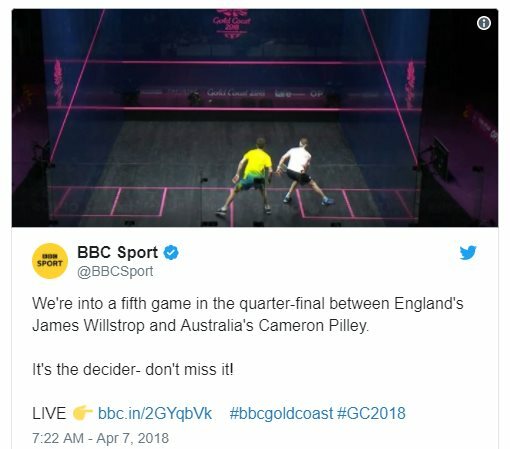 Both men’s matches went the full distance, first James Willstrop ended Australian hopes as he twice fought back from a game down, finally maintaining his unbeaten record against Cameron Pilley, finishing the stronger in a 94-minute marathon. 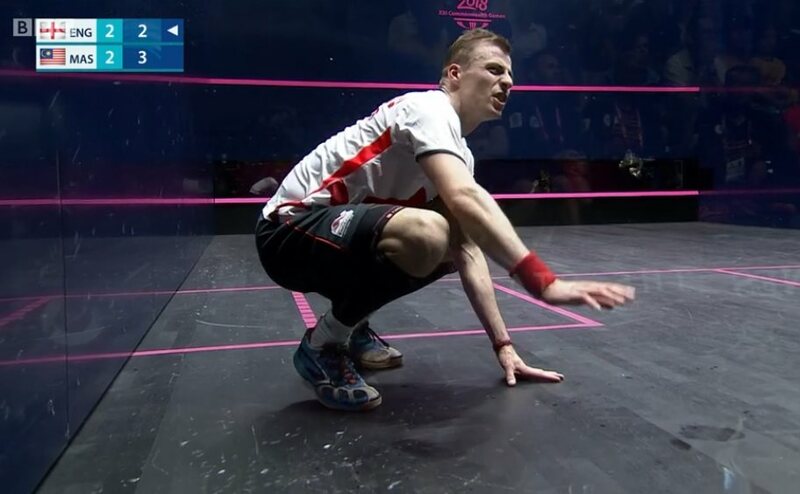 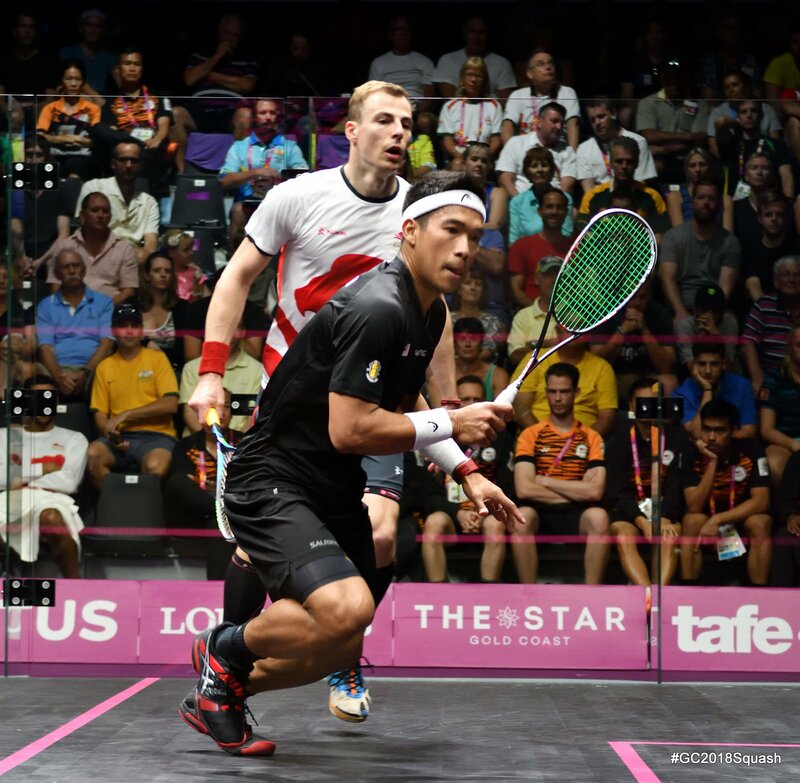 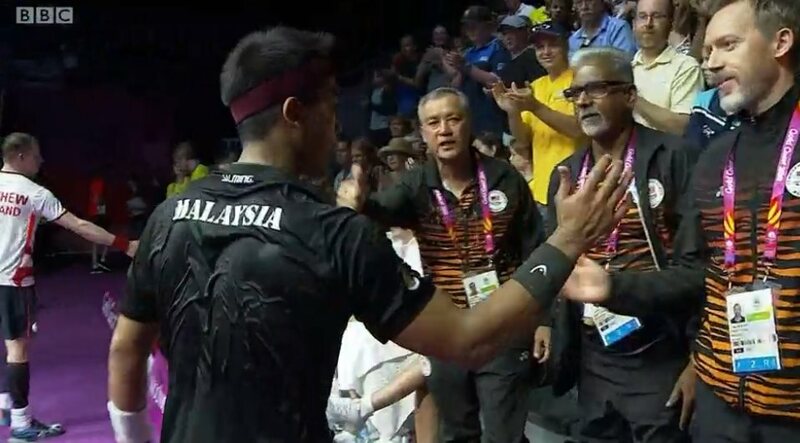 Top seed and two-time defending champion Nick Matthew also found himself twice behind, to Malaysia’s Nafiizwan Adnan, but although the Englishman looked impressive in taking the fourth, it was Adnan who surged ahead in the decider, taking a 10-3 lead before claiming his best-ever win on his fourth match ball.